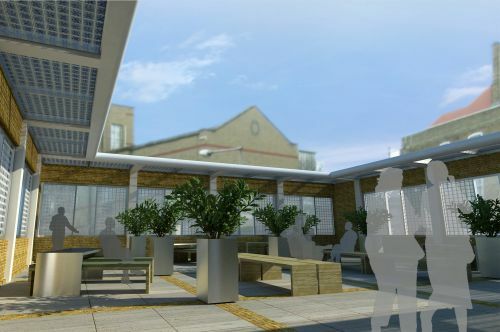 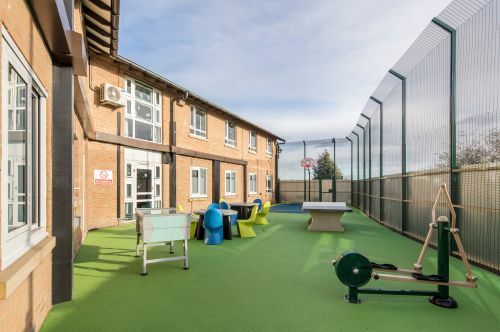 We have particular experience in designing for Mental Health Services and were therefore excited to subcontract the detailed design for the Integrated Mental Health Unit project from Nightingale Associates Ltd. We took on the project after RIBA stage C up to its completion. 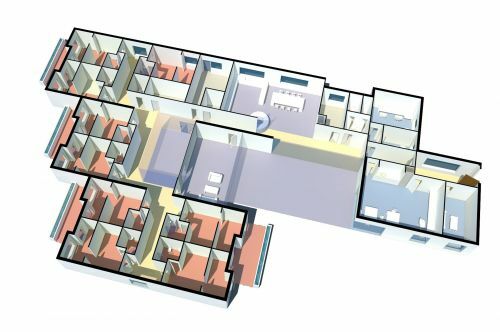 The facility provides in-patient accommodation and outpatient services for adult and elderly patients with a total of 130 beds. 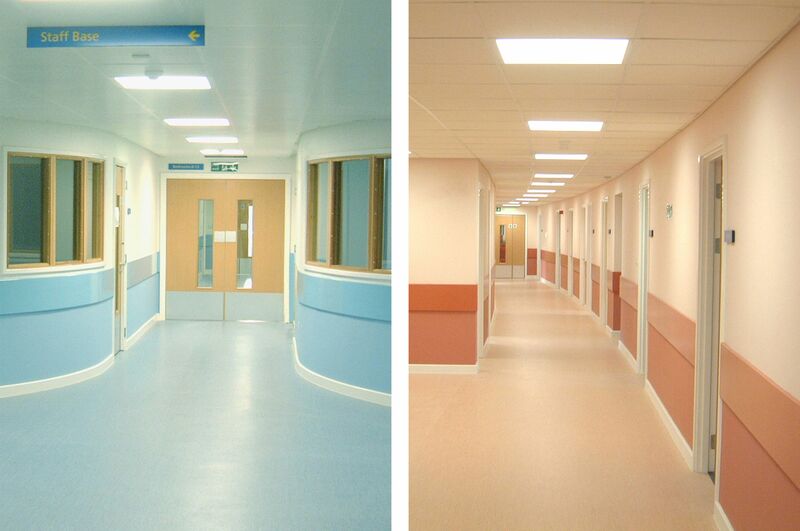 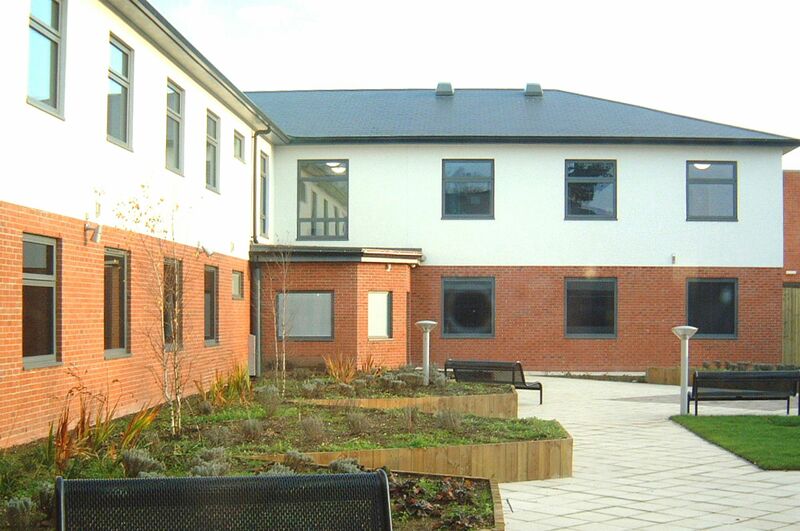 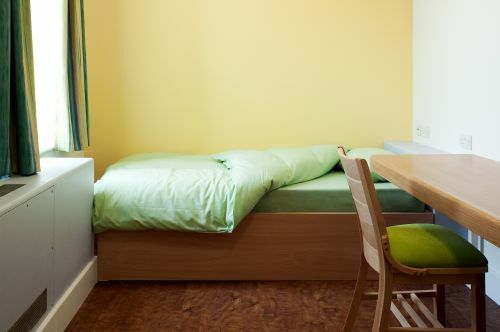 The units offer secure outdoor gardens, individual ensuite patient bedrooms and generous day areas. 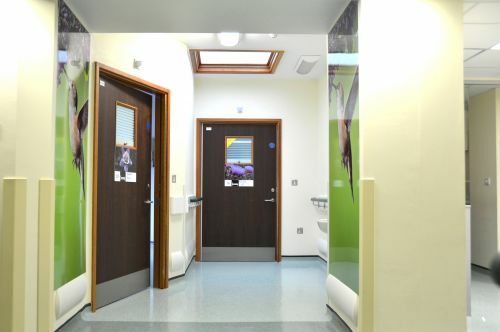 The programme for working drawings and design team co-ordination had to respond to the demands of the pre-fabricated concrete panel system and the requirements for bathroom pod installation.